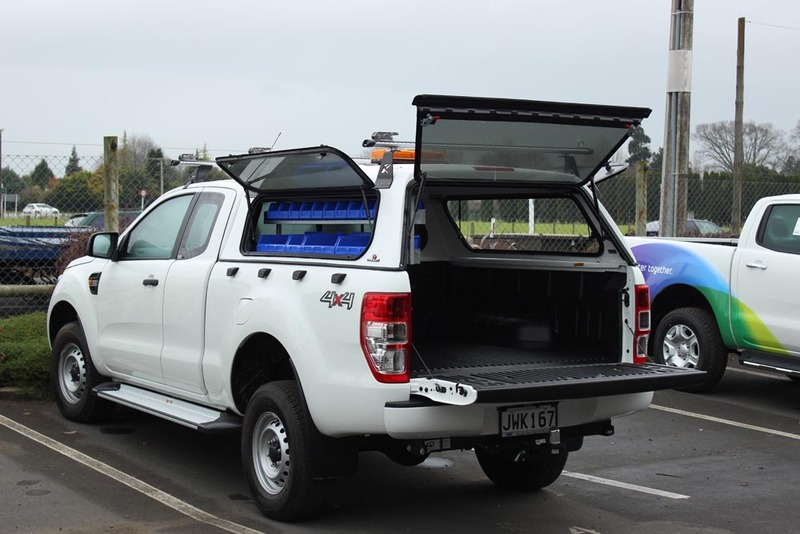 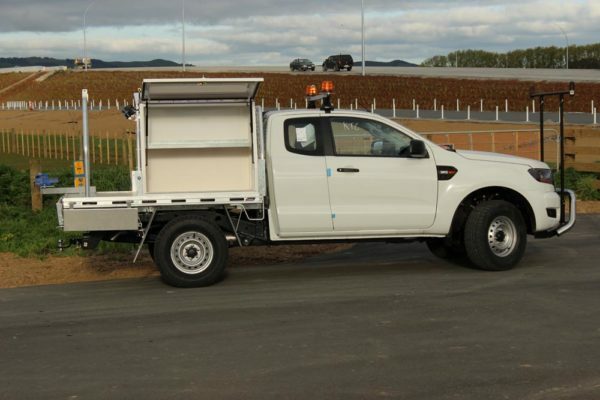 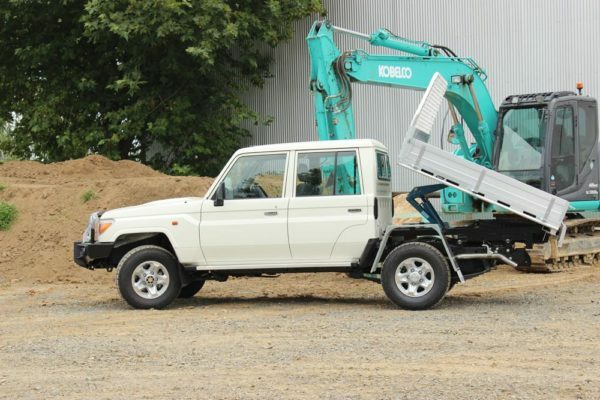 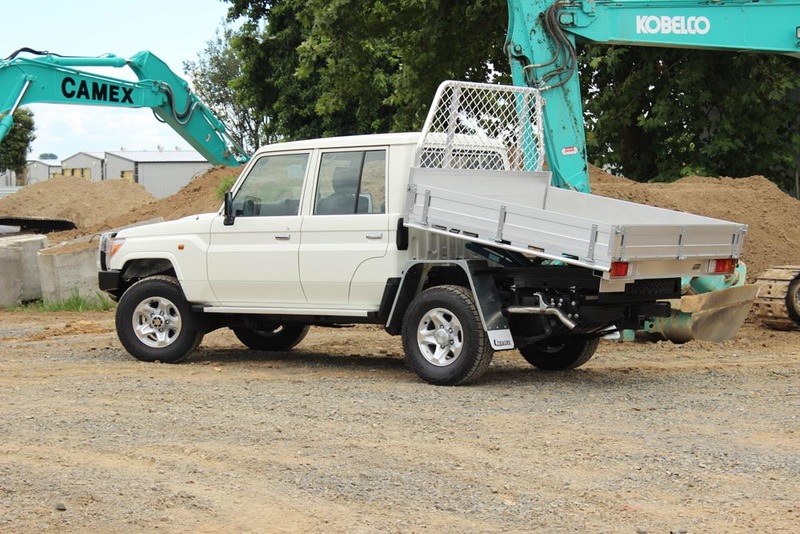 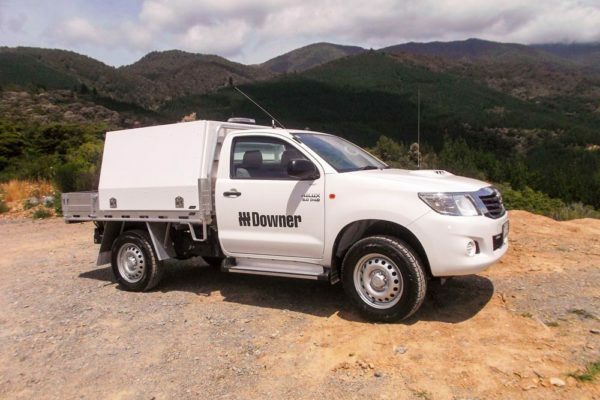 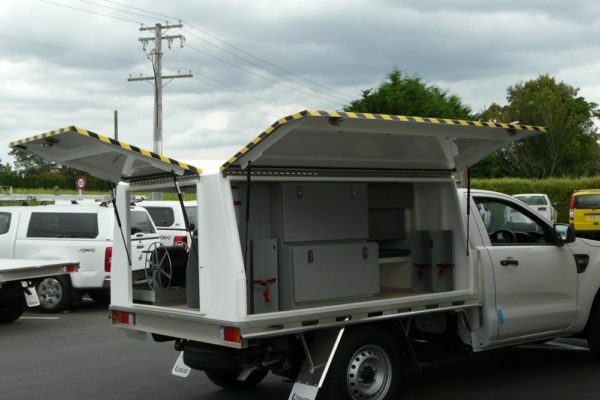 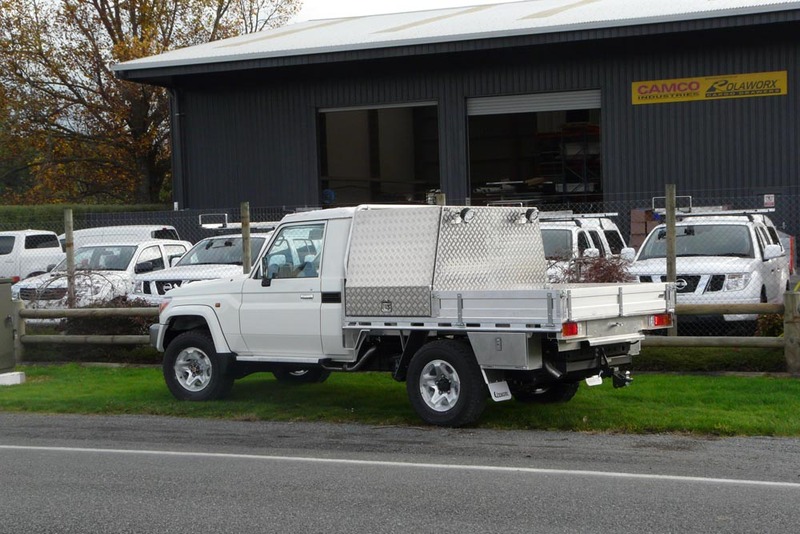 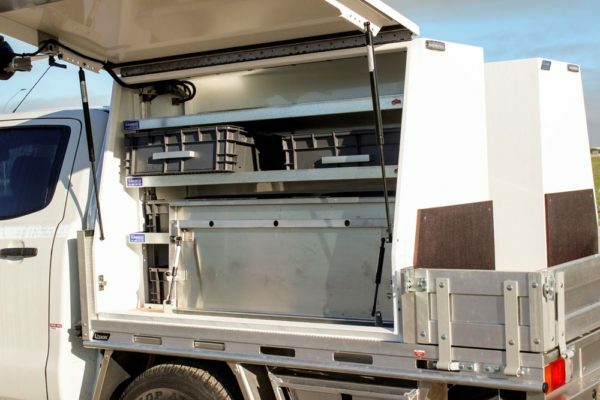 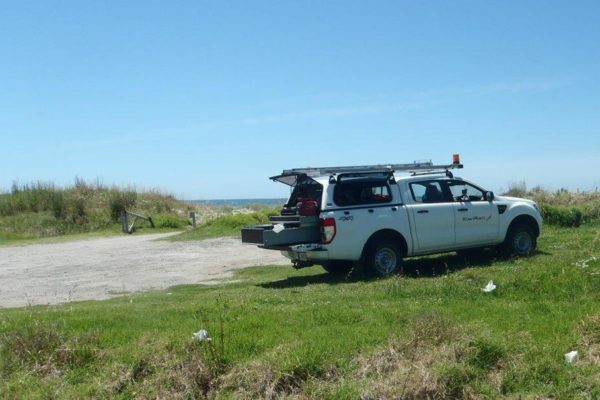 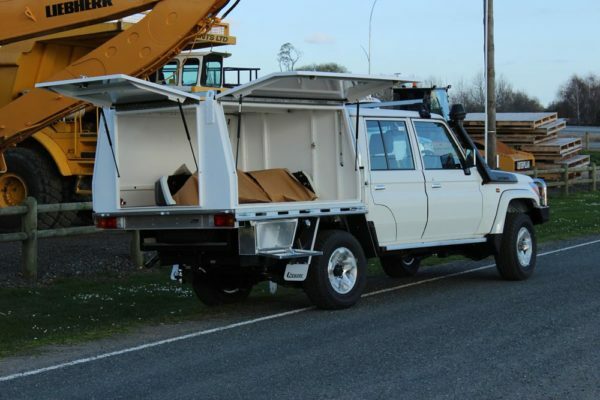 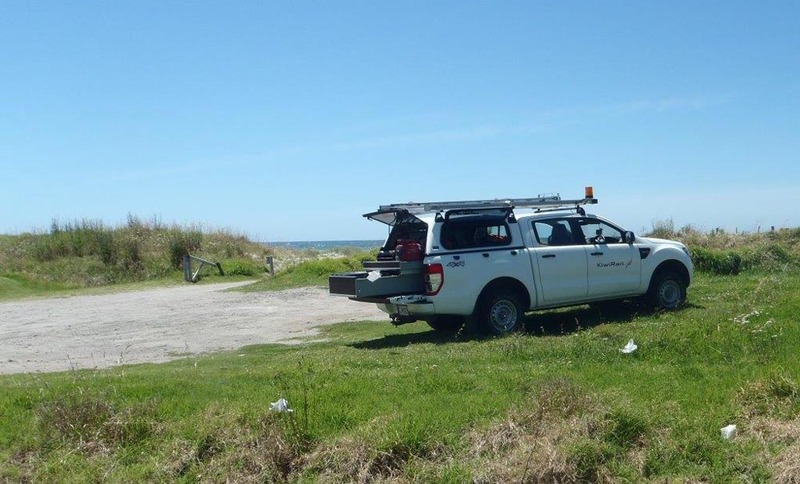 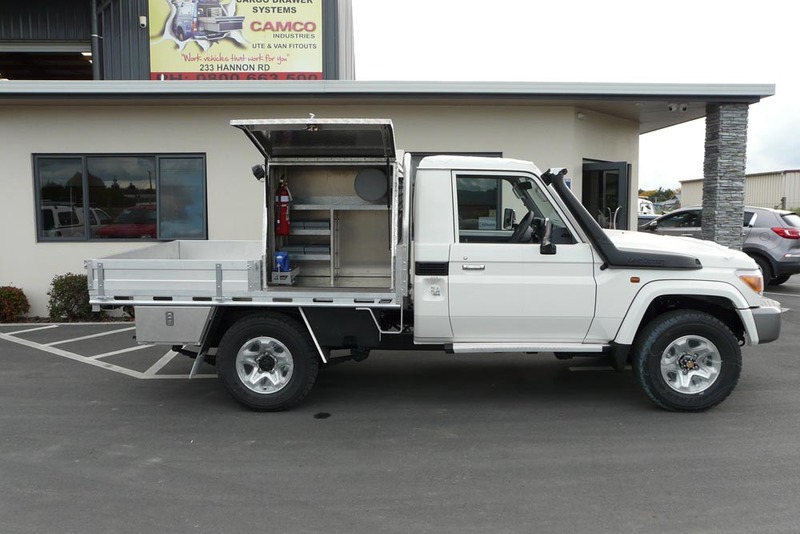 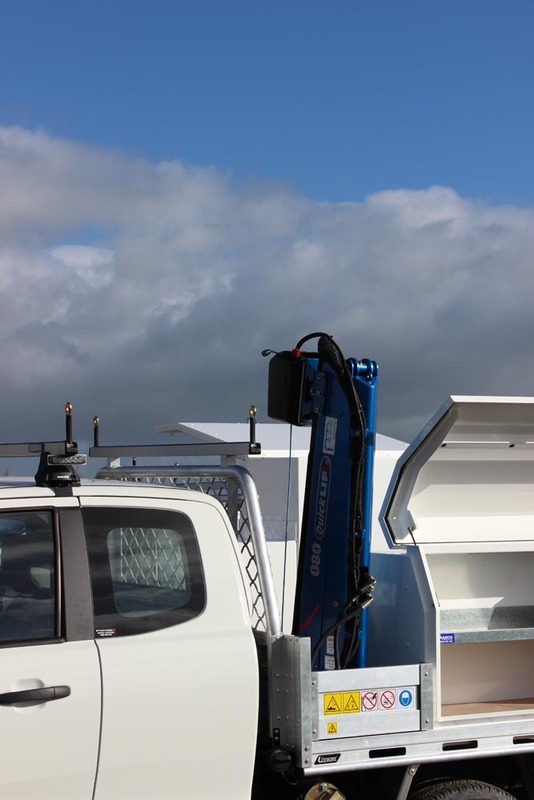 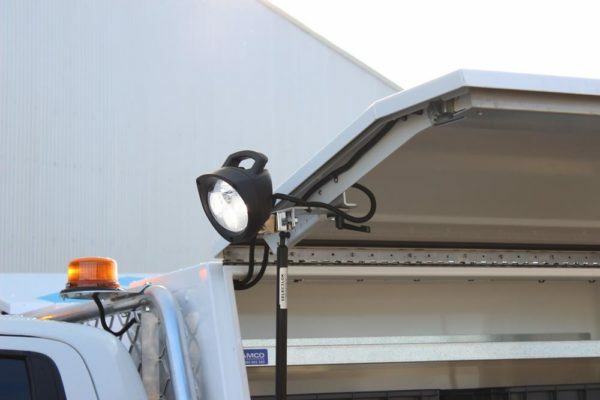 Earthmoving, civil and drainage contractors need a secure location in their vehicles for tools and servicing gear. 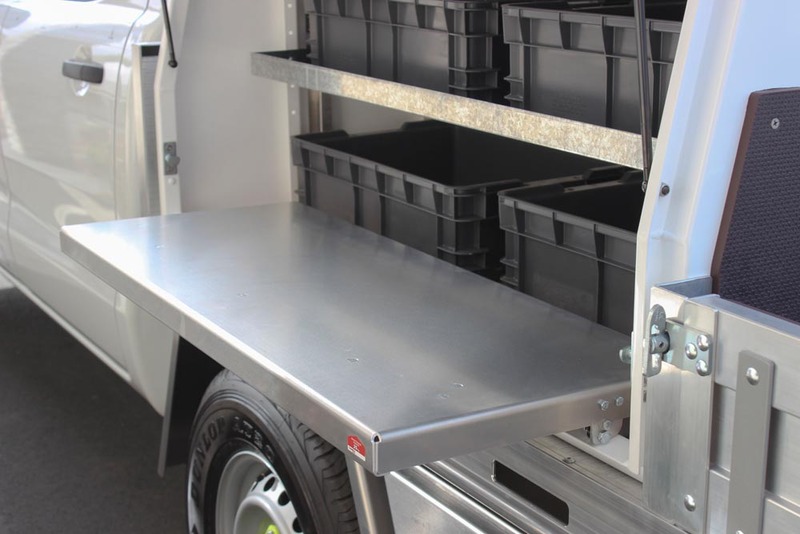 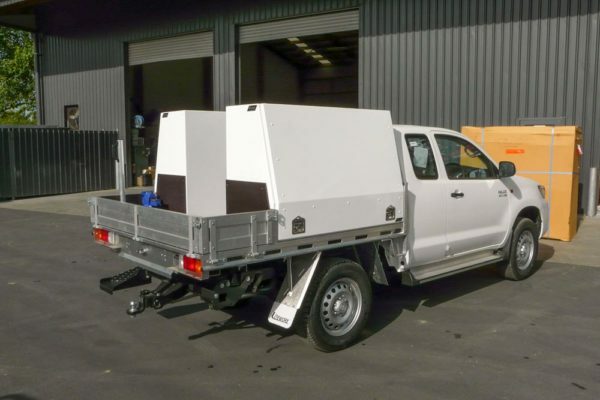 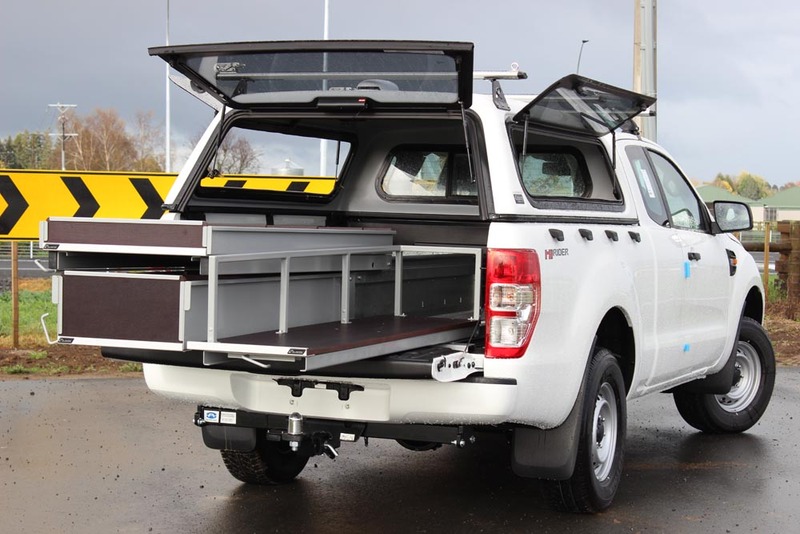 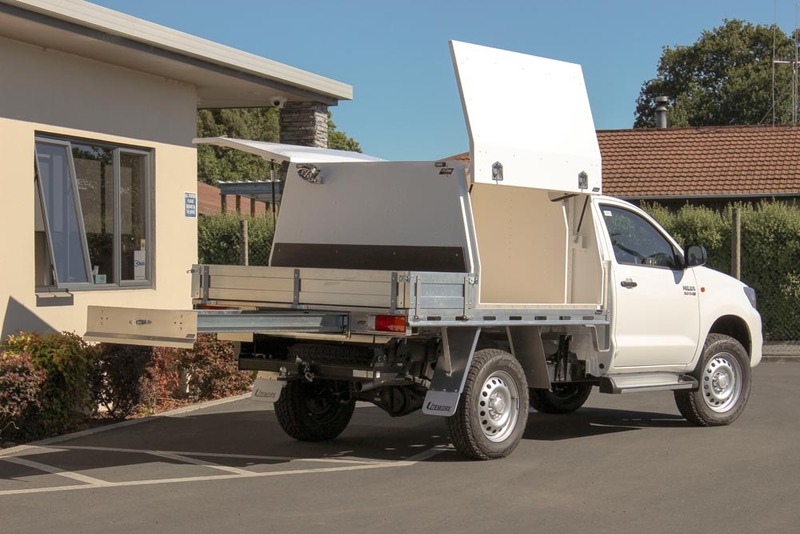 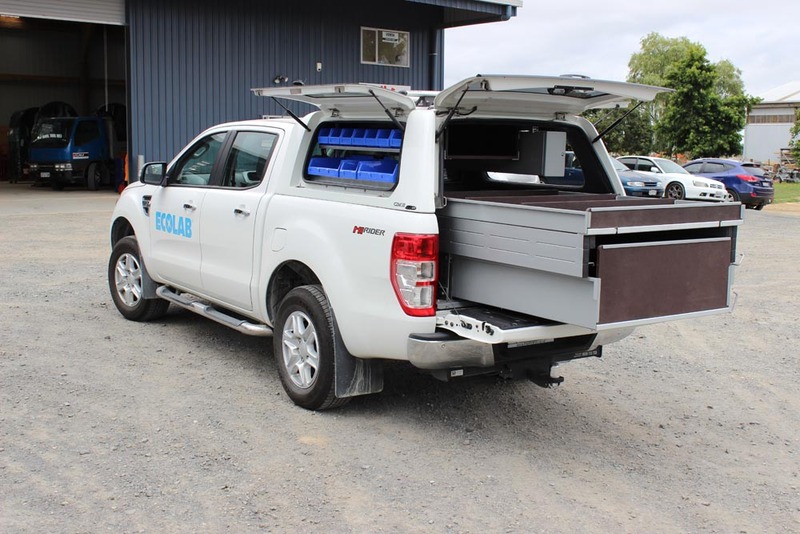 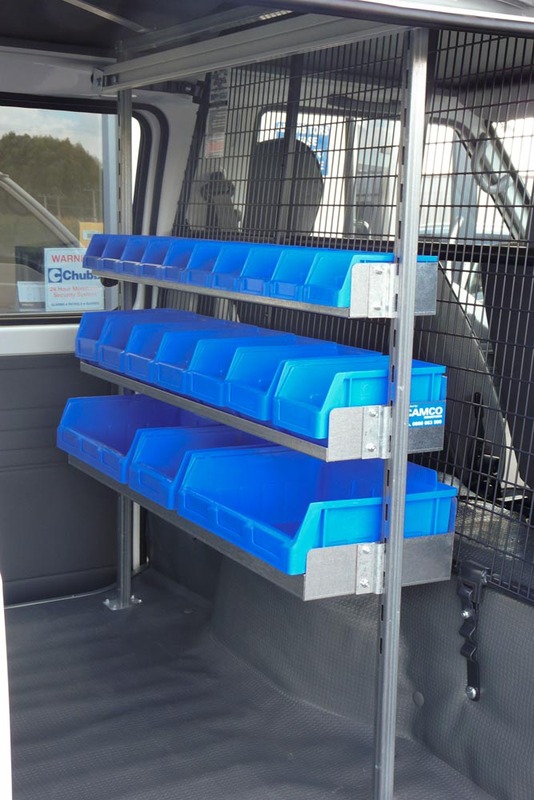 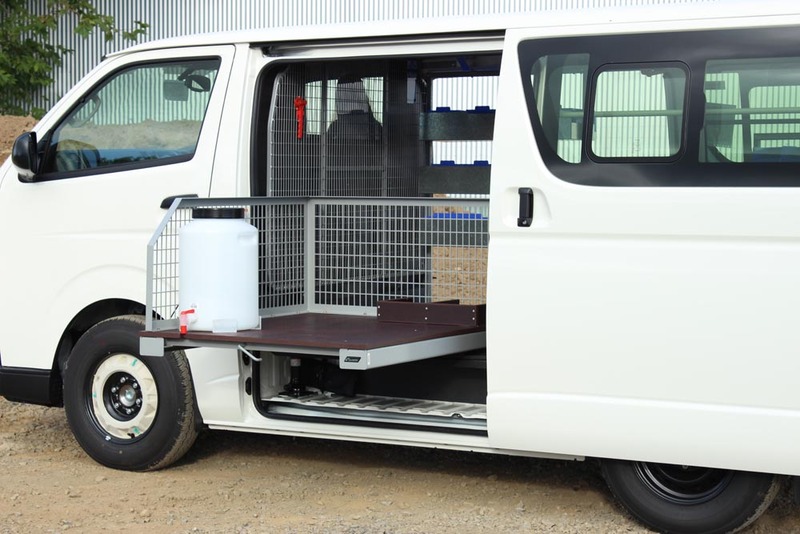 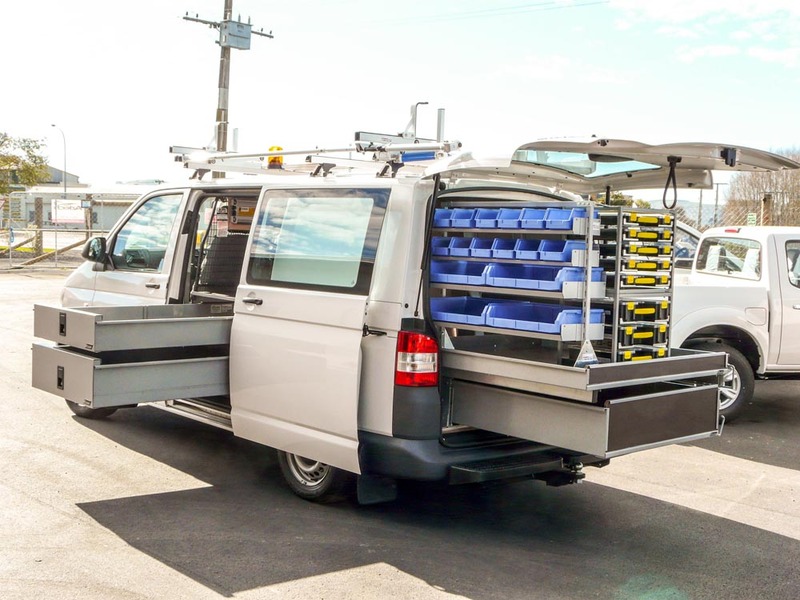 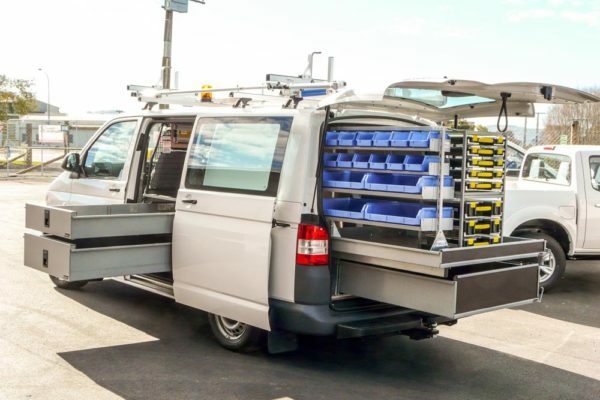 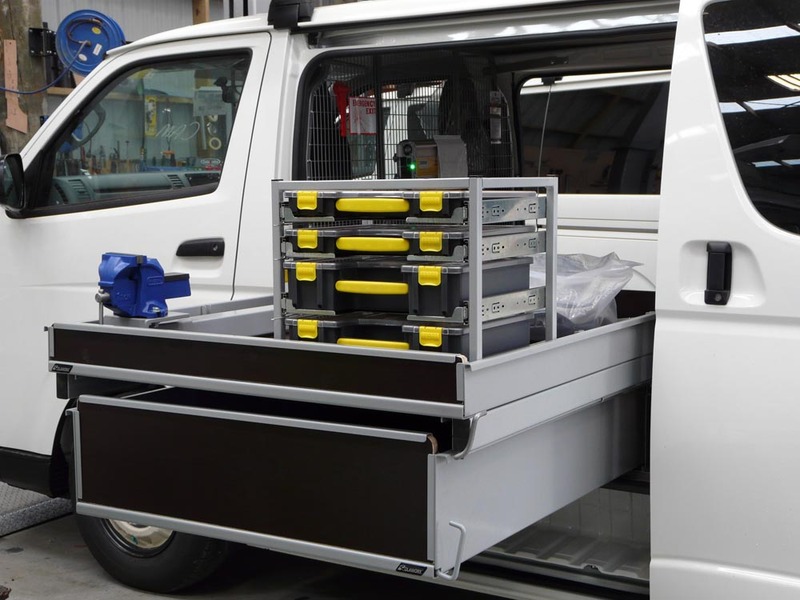 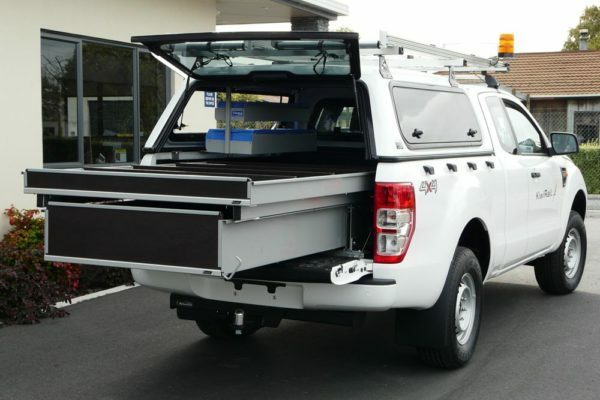 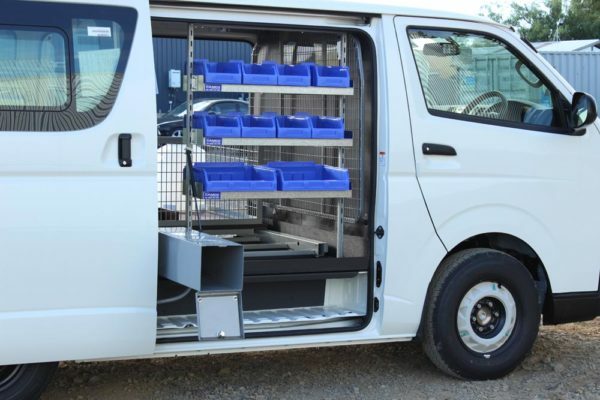 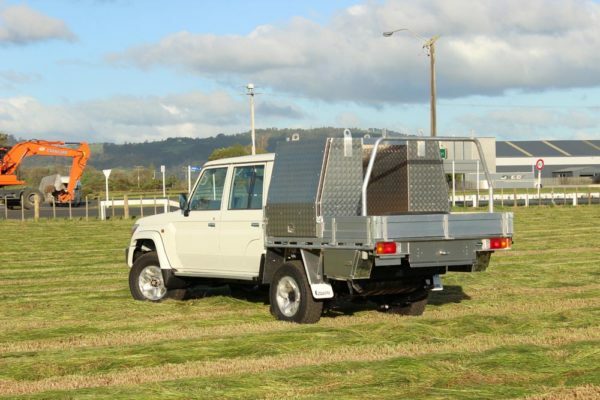 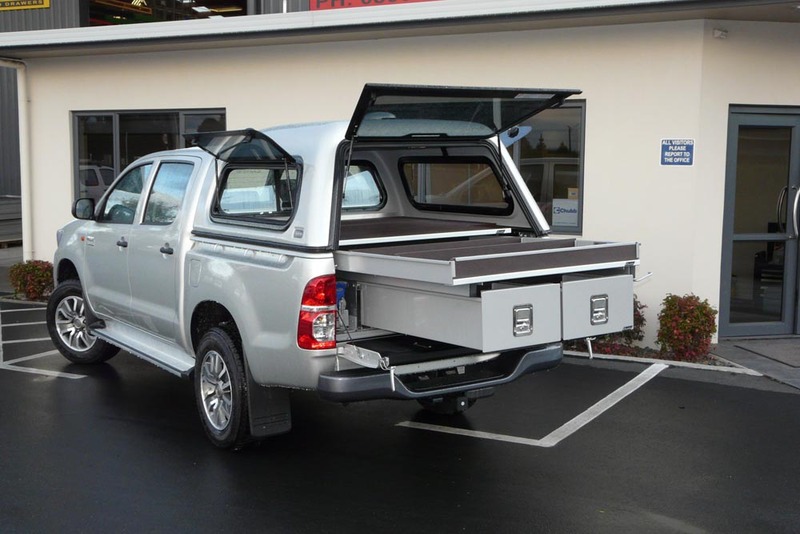 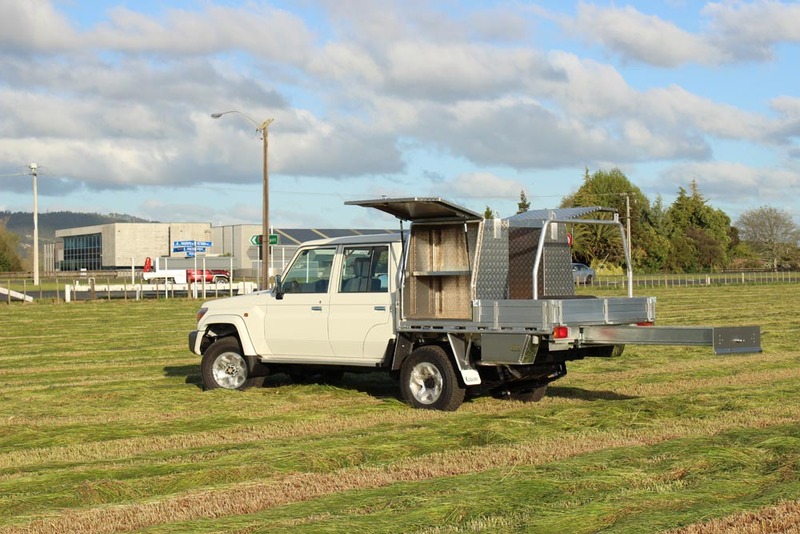 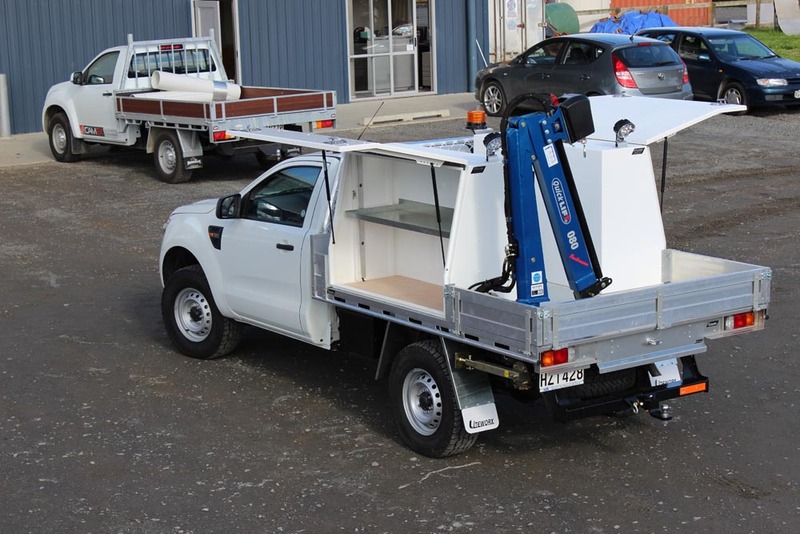 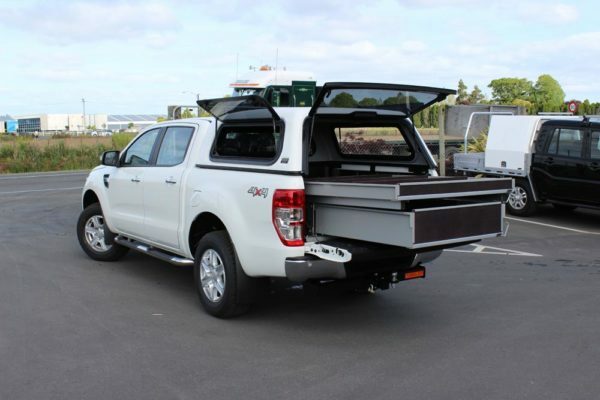 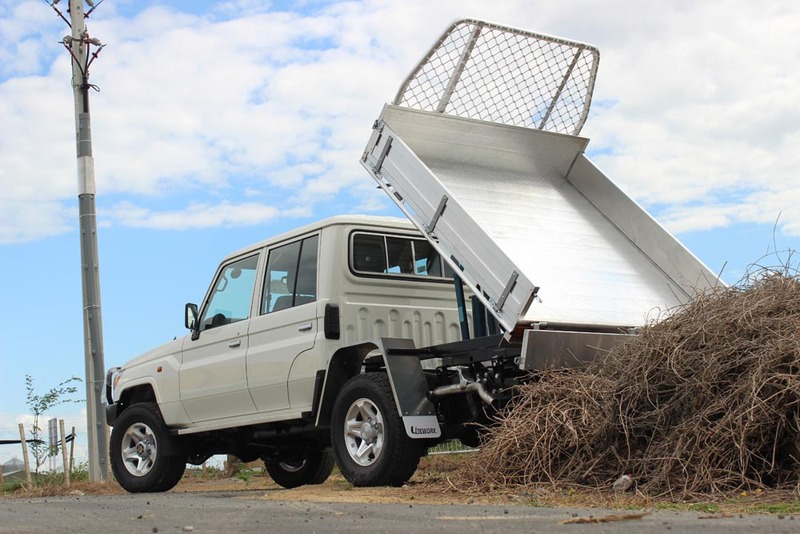 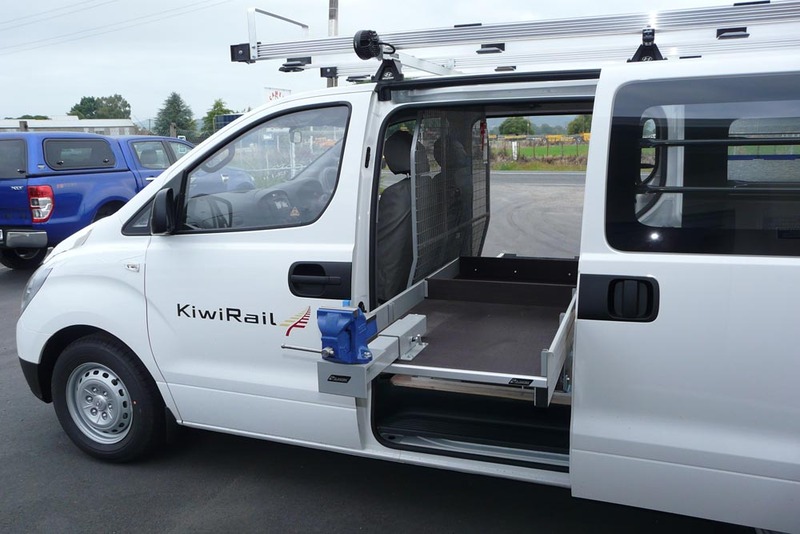 Camco can provide solutions for these needs and have found that customers from these industries prefer to have a ute with a flat deck and Gullwing®, although the Rolaworx® drawers are still very handy. 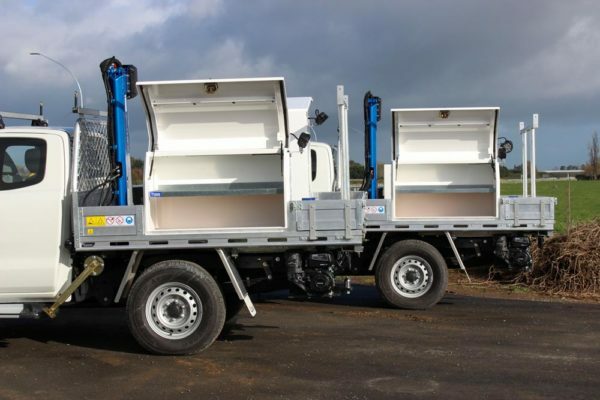 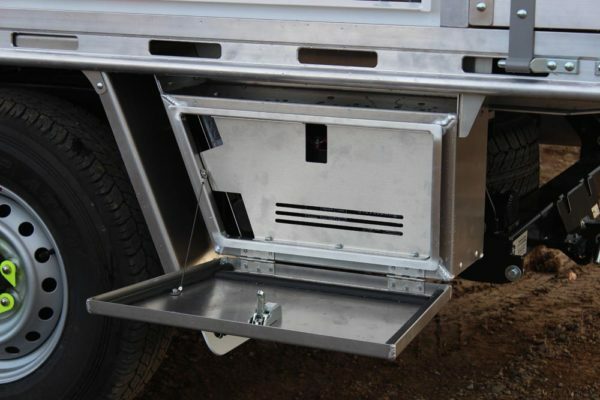 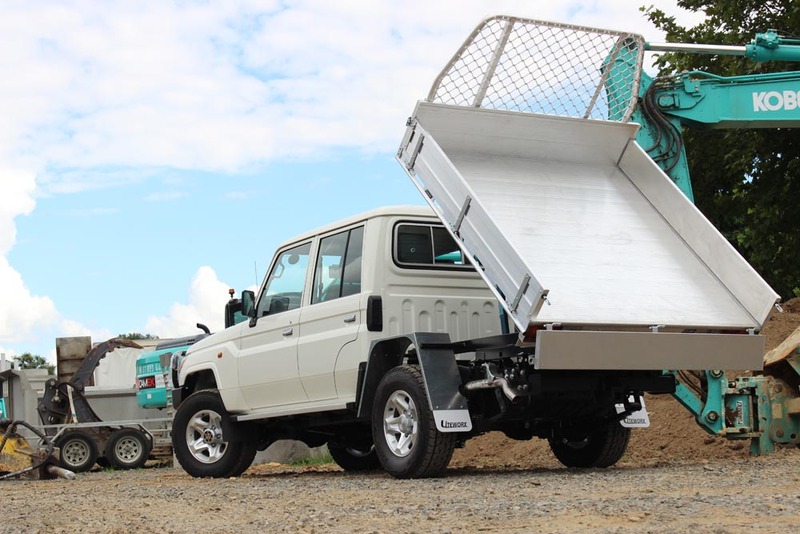 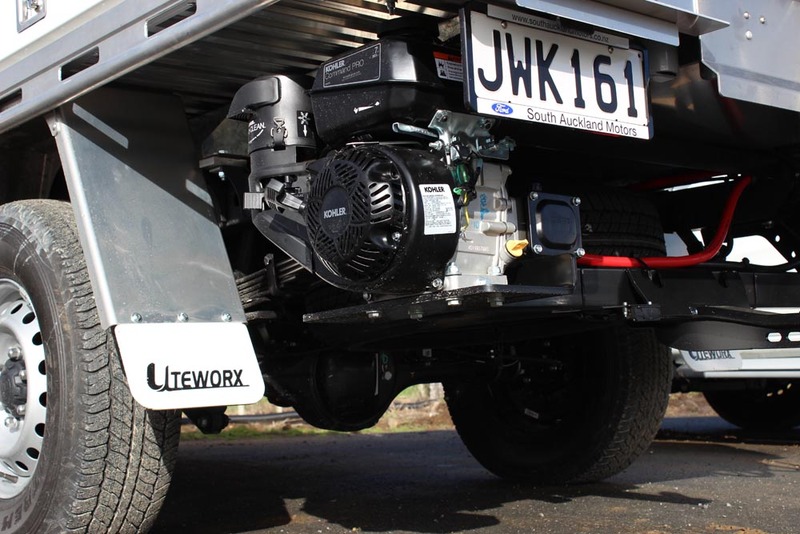 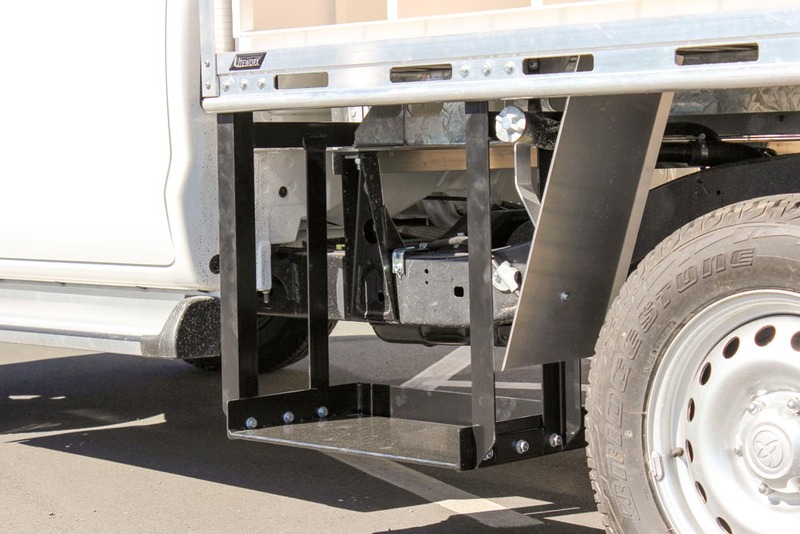 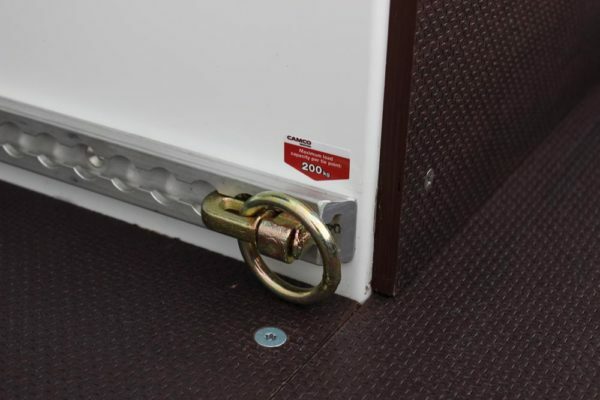 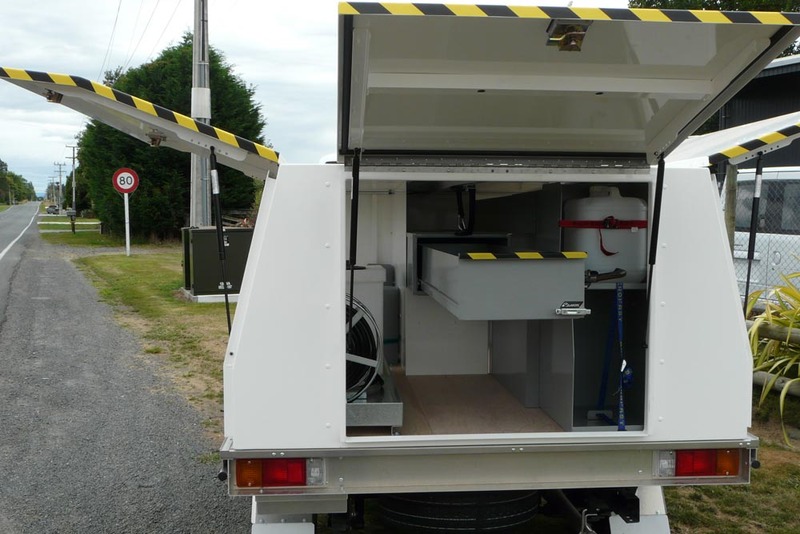 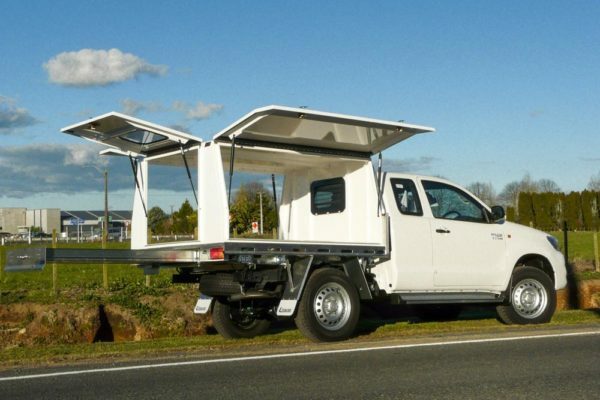 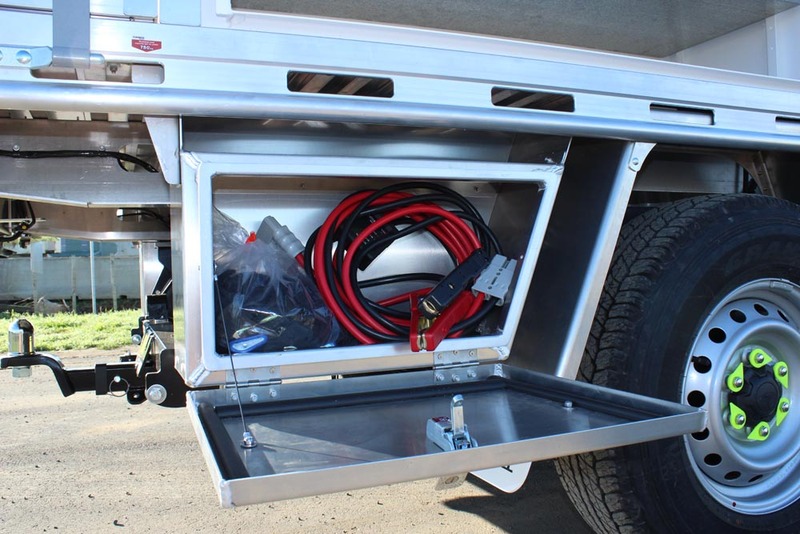 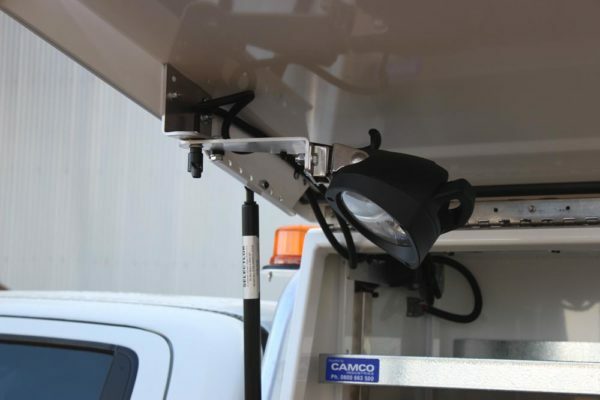 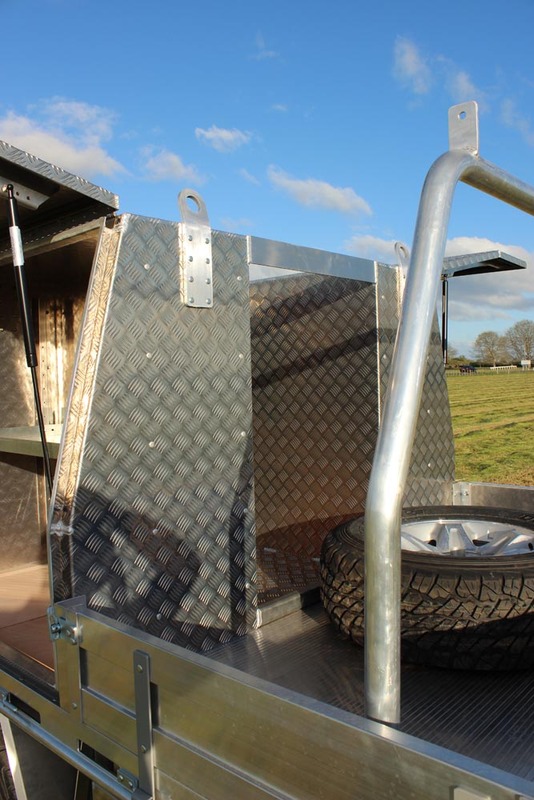 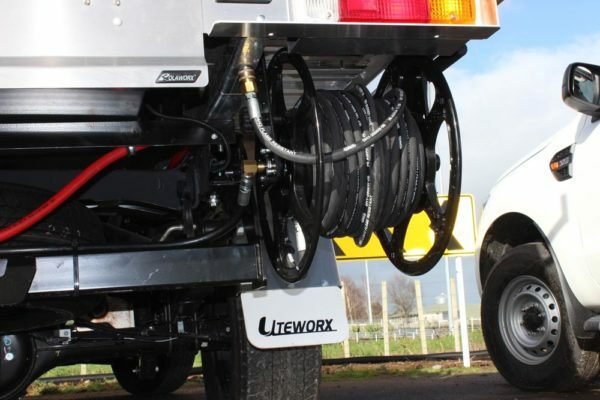 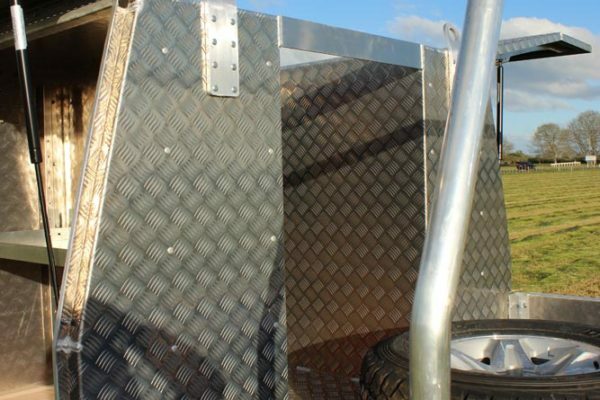 Camco has also developed a tipper unit that fits as a sub frame under a Uteworx flat deck. 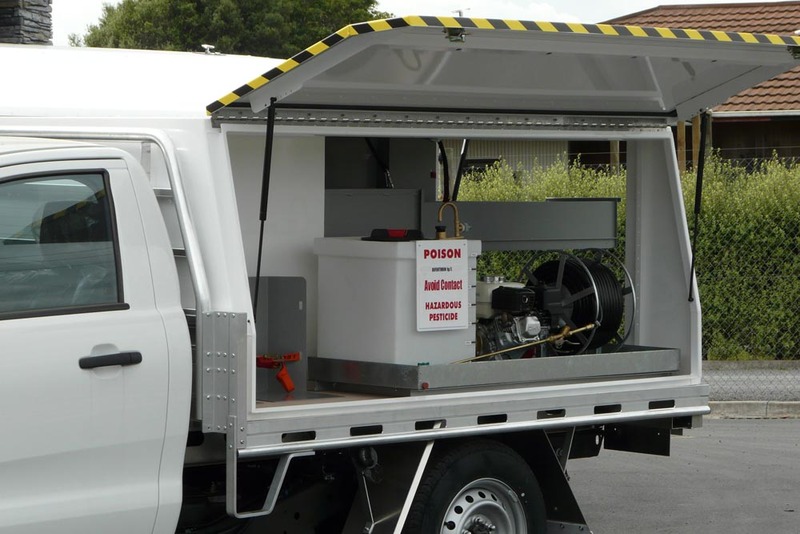 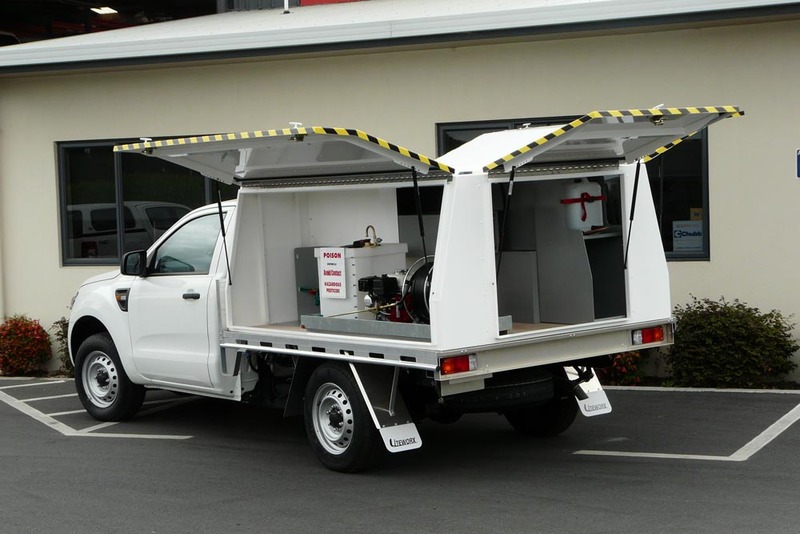 The cargo carried by fumigation and pest control company vehicles needs very careful handling to ensure its’ safety as it is so hazardous. 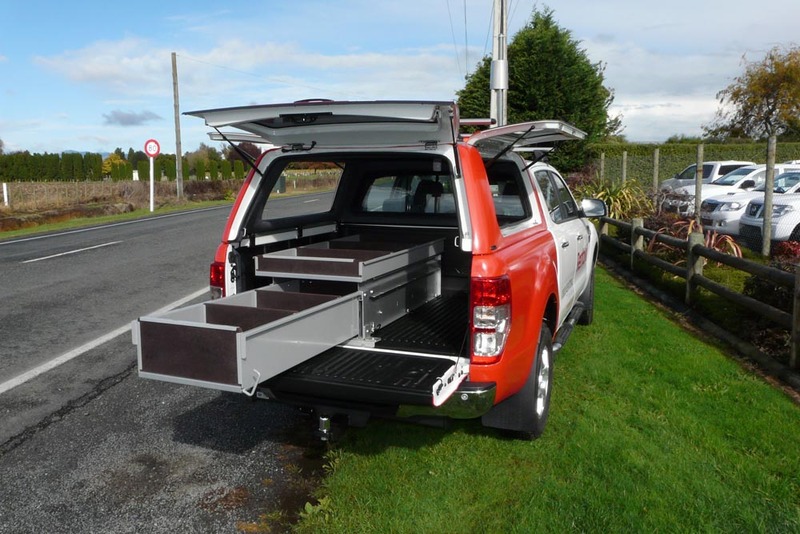 Camco has developed specialist adaptations to our products to suit this industry’s needs. 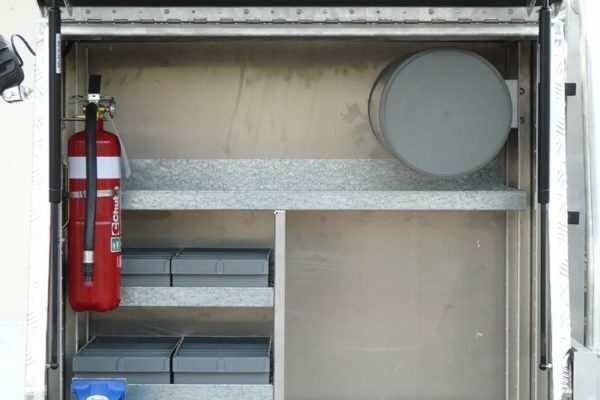 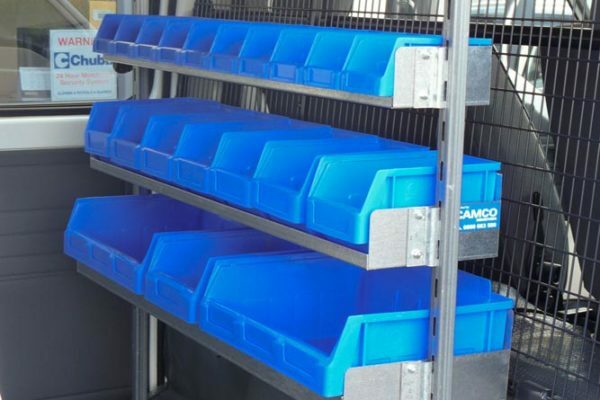 The ability to slide out containers of chemicals such as methyl bromide helps to make the handling of them safer, and we can fit drainage plugs into the drawers to ensure and surplus is easily cleaned up. 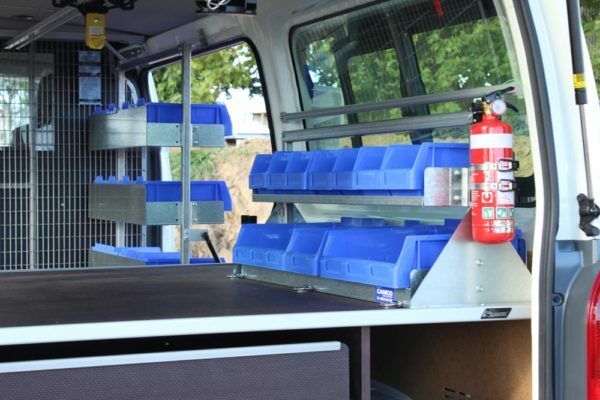 Compartments in the drawers also assist in safe and efficient handling of chemicals etc. 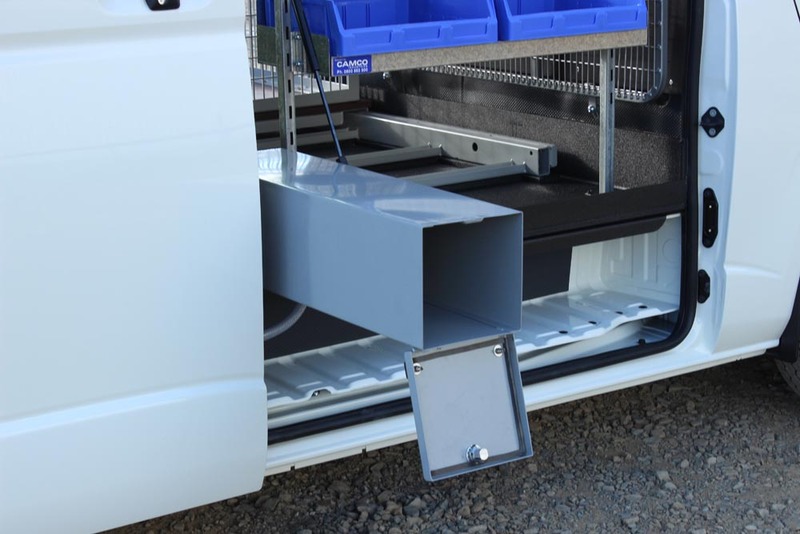 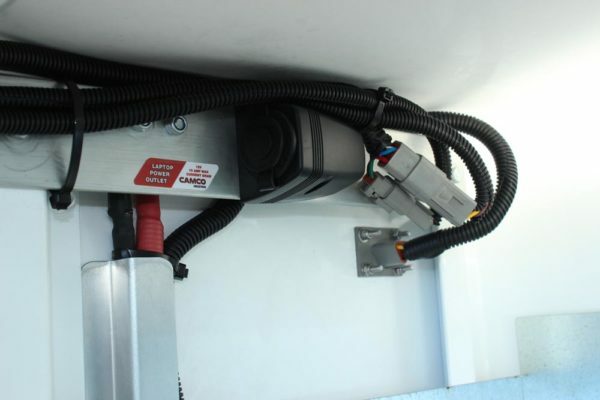 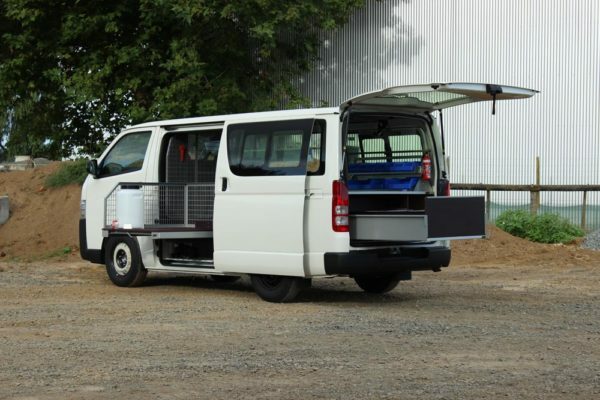 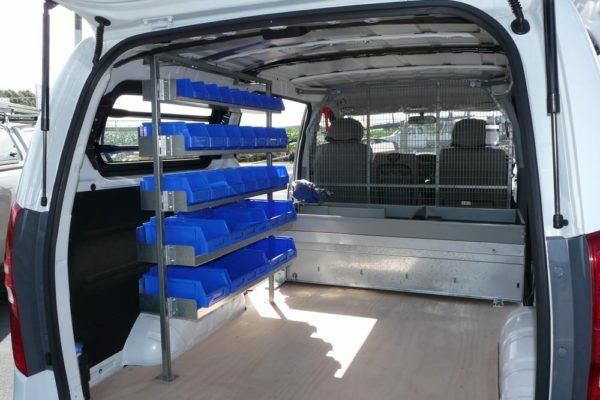 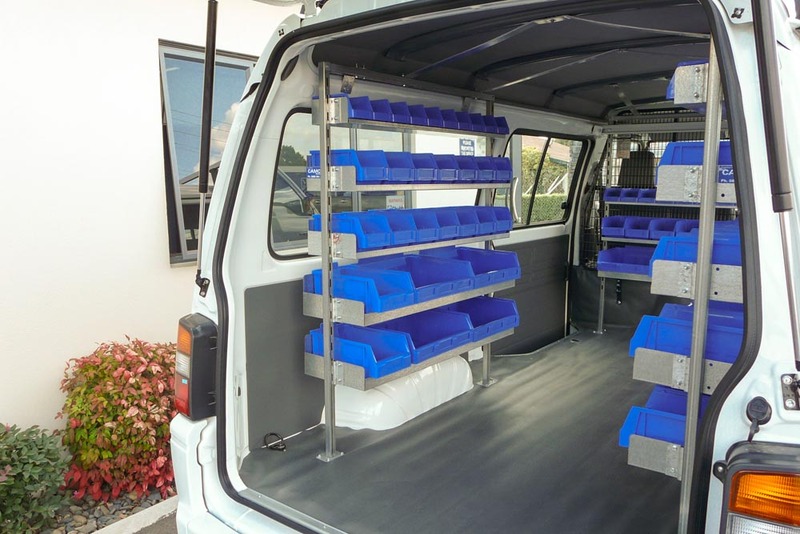 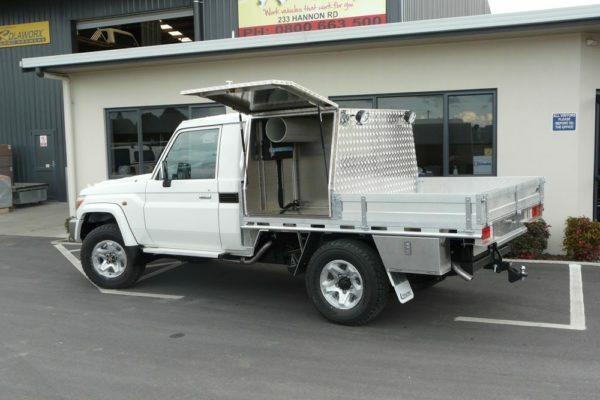 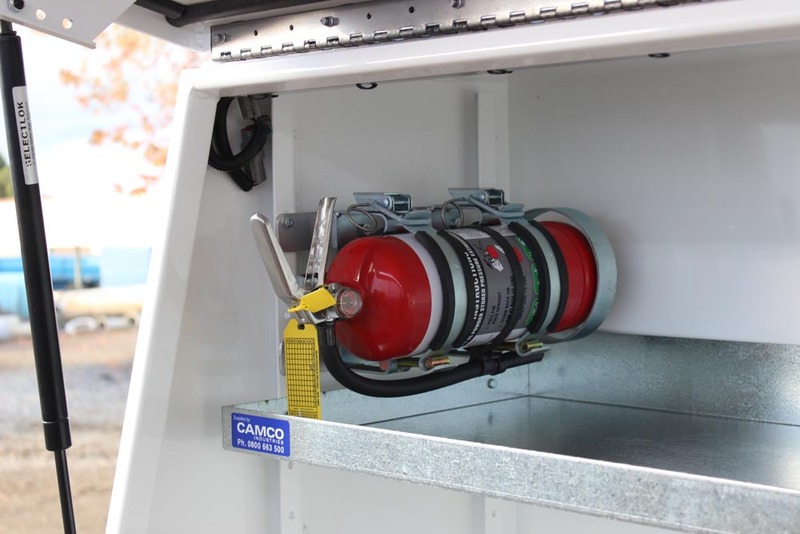 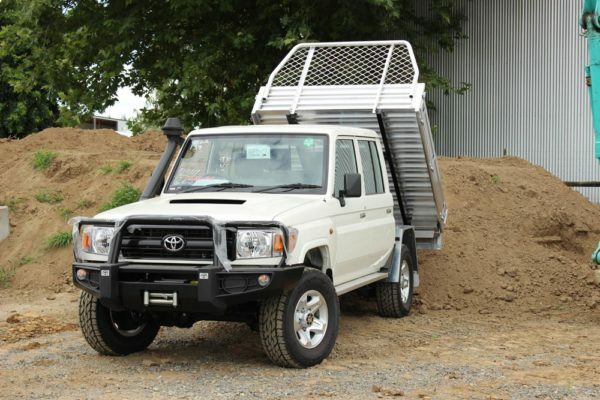 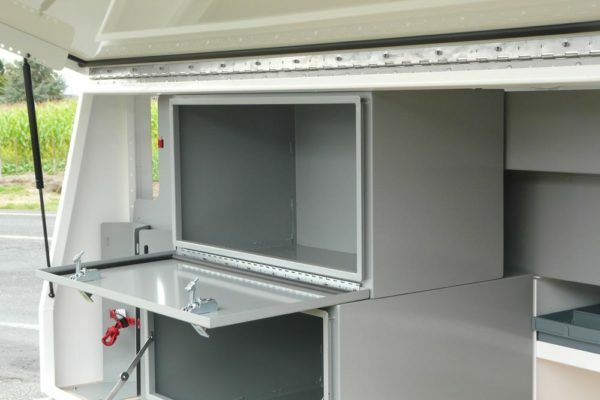 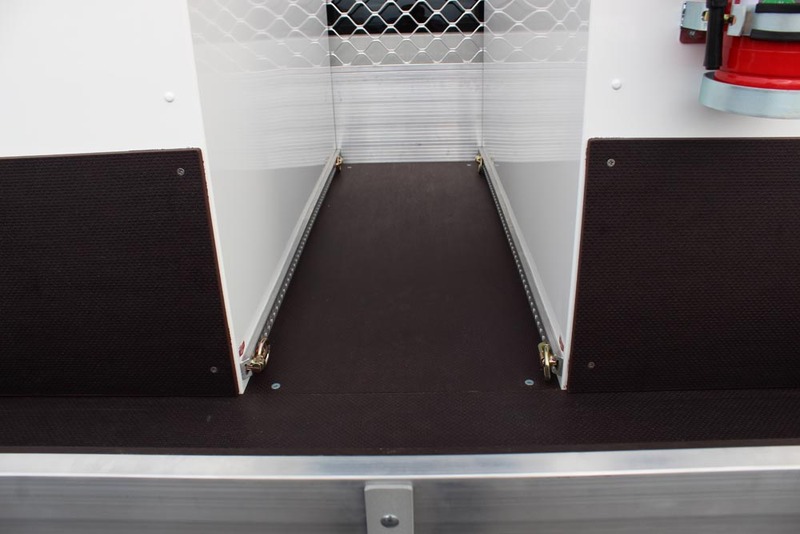 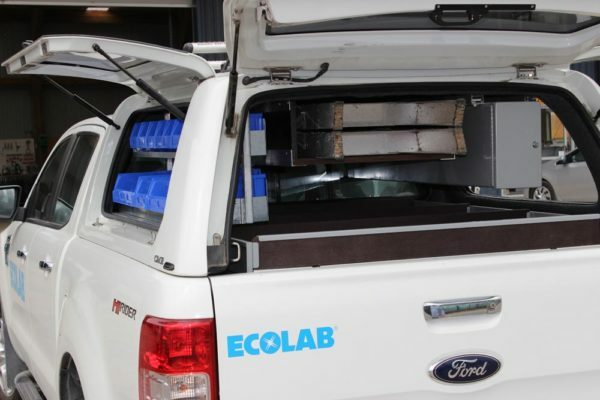 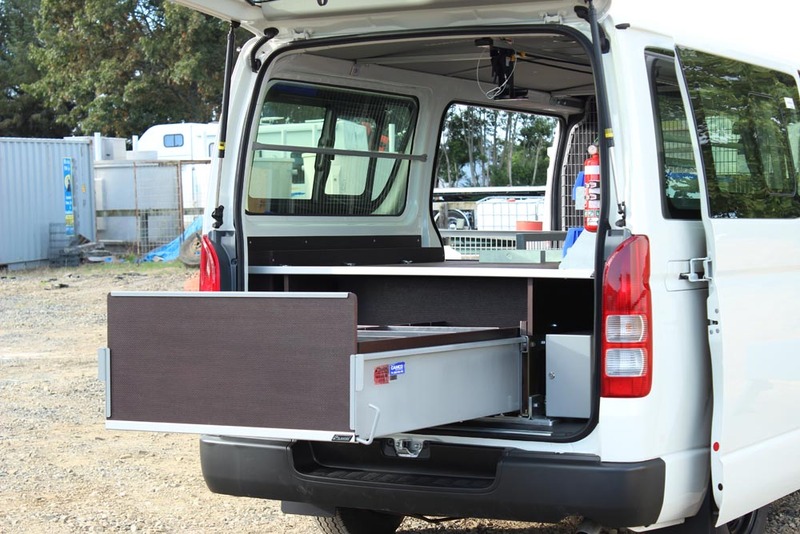 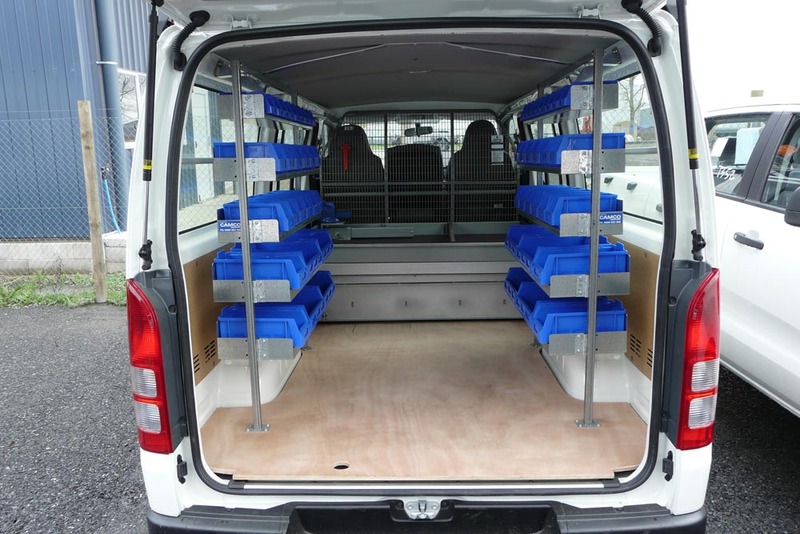 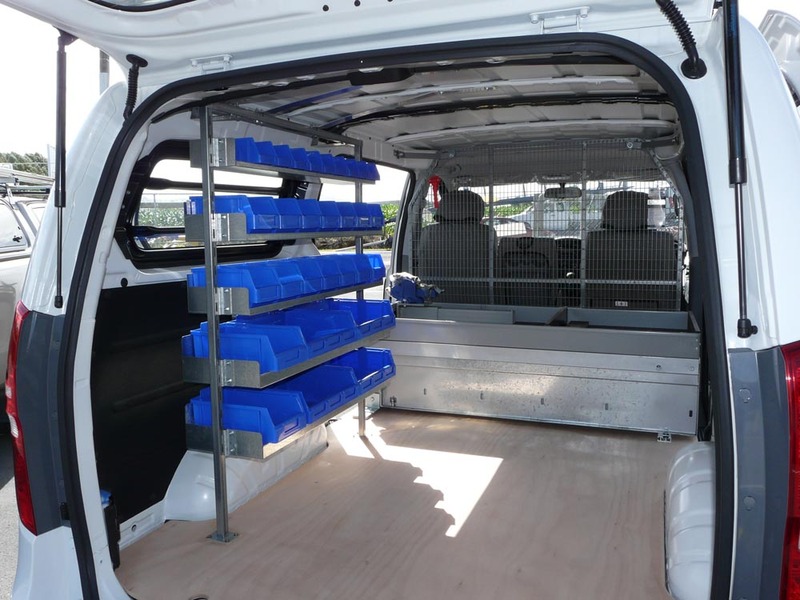 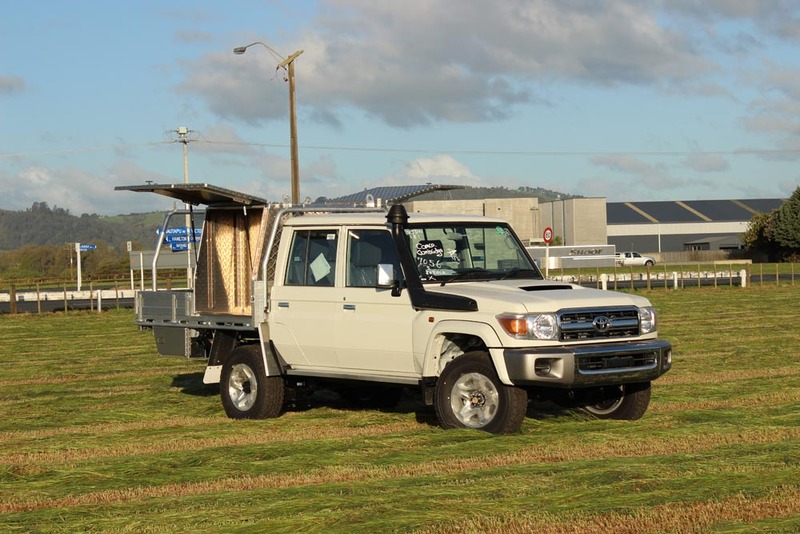 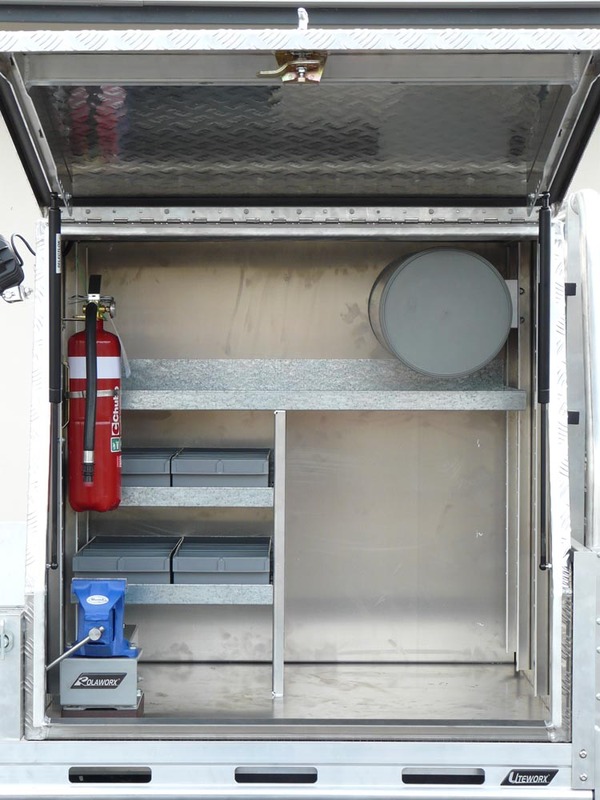 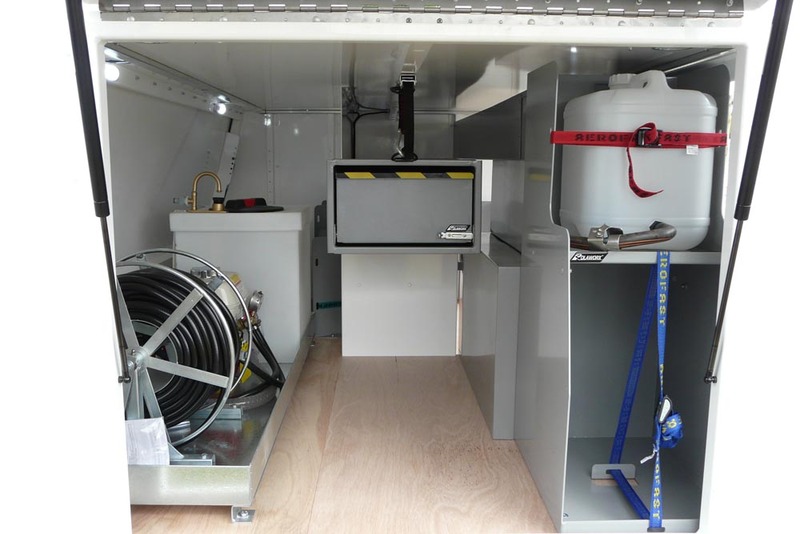 Adequate ventilation is also a requirement for these vehicle and Camco fits roof vents to ensure there is suitable quality air in the cargo area. Roading and civil construction companies need a safe and efficient vehicle base to work from, often in remote situations. 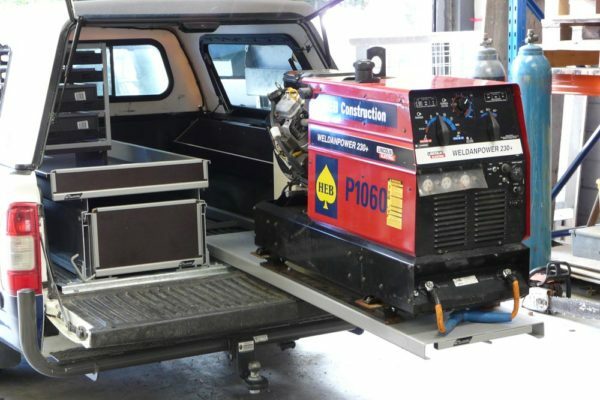 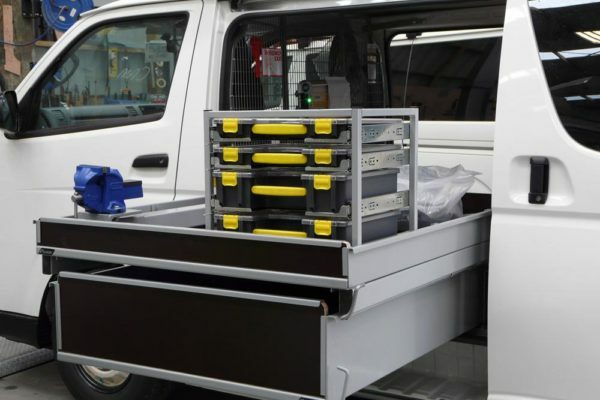 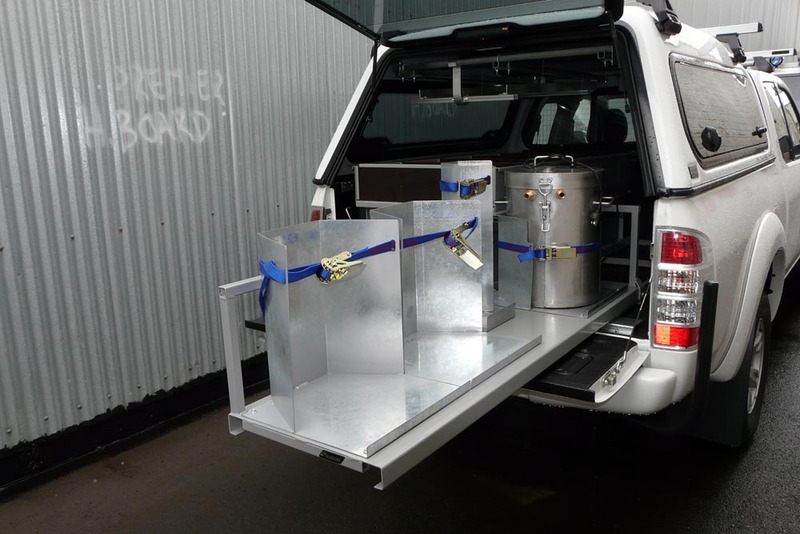 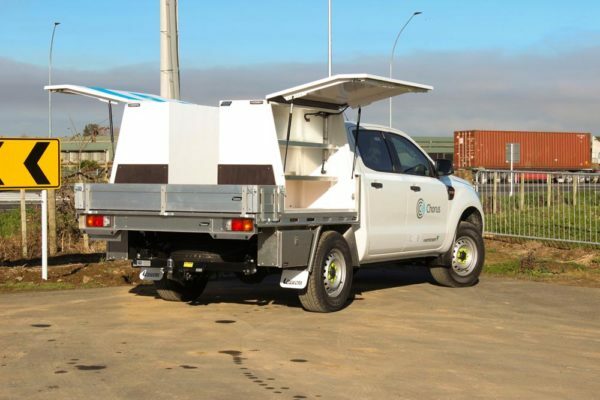 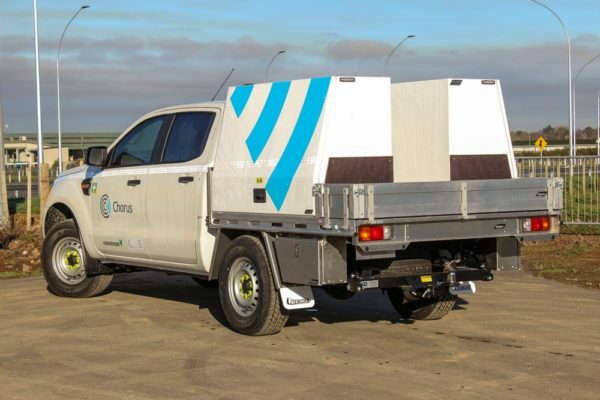 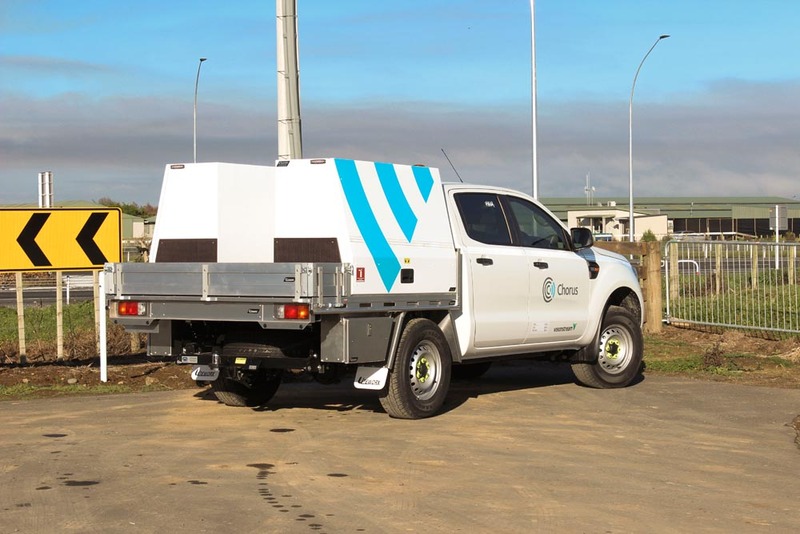 Camco’s range of Rolaworx® drawers and Gullwing® tool boxes and box bodies cater aptly for these circumstances, whether it be the transport of precision surveying instruments or the organising of road cones and shovels, etc. 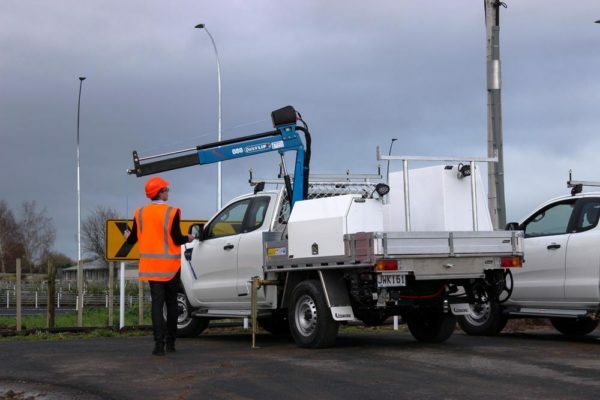 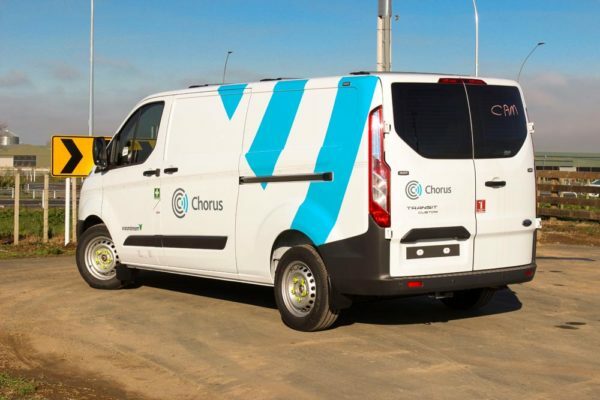 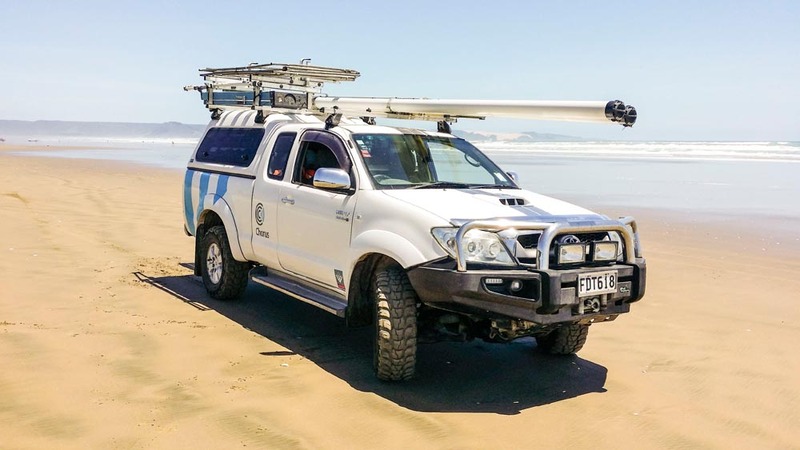 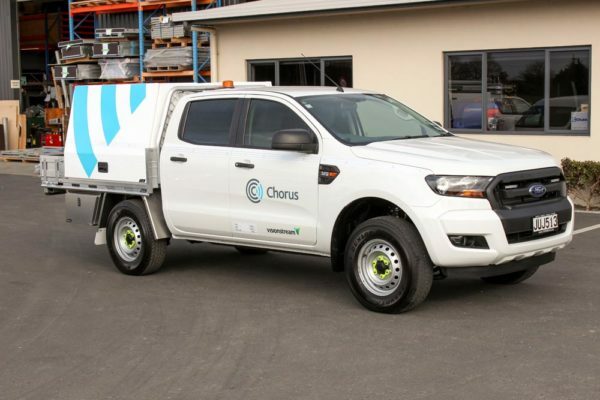 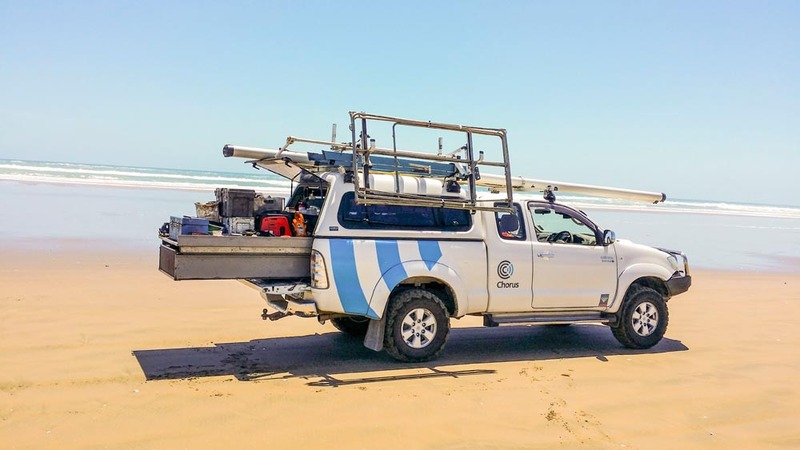 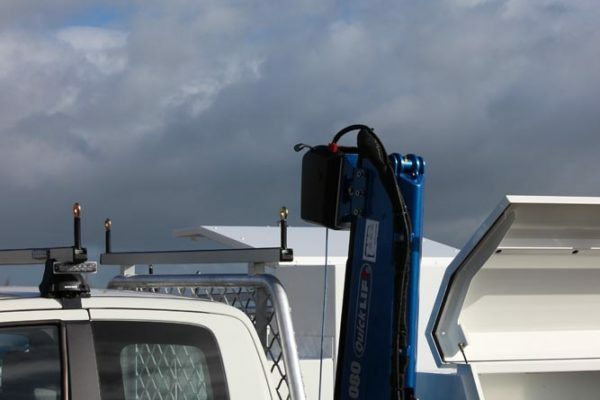 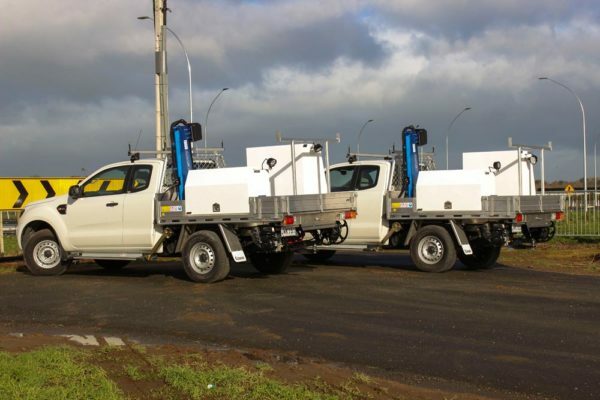 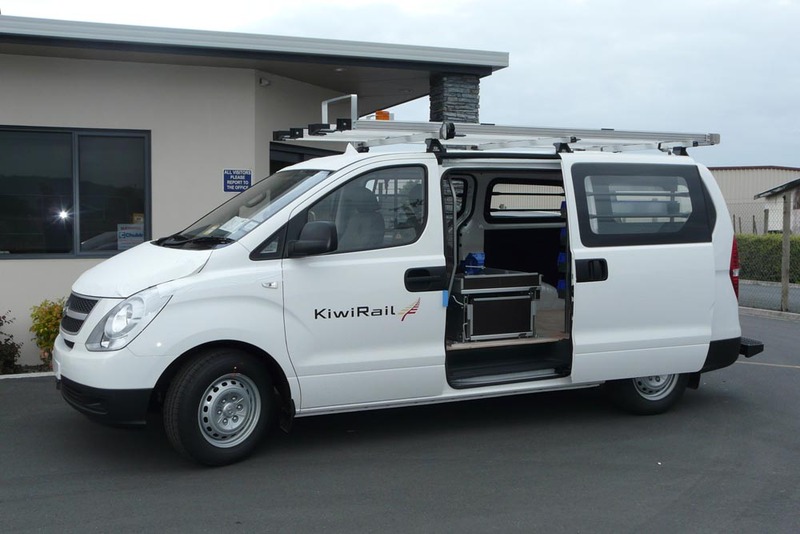 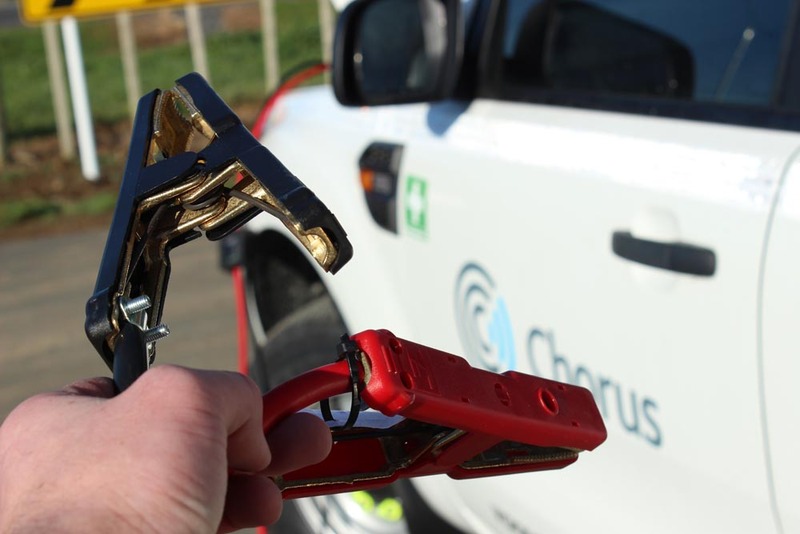 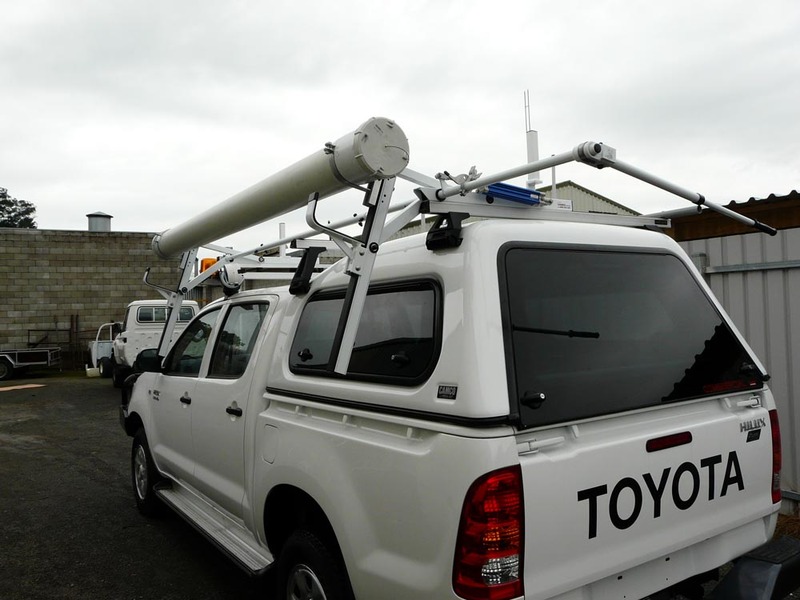 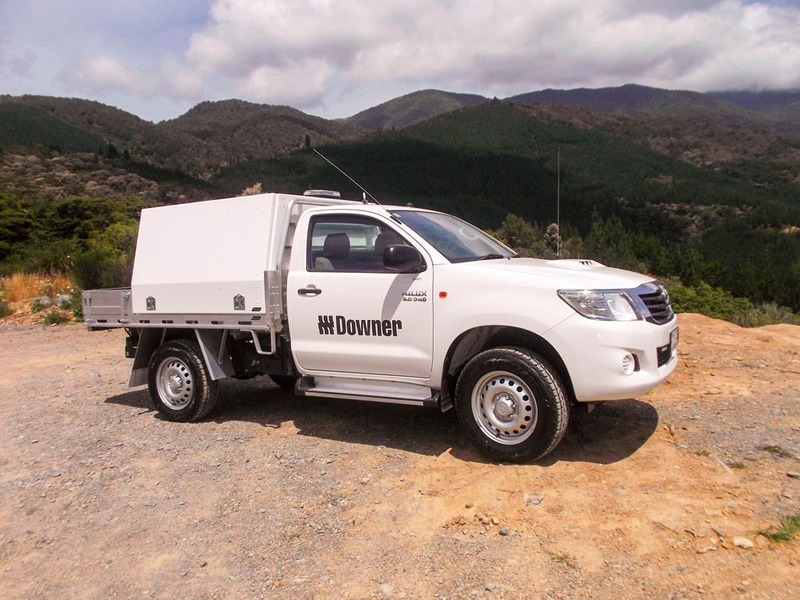 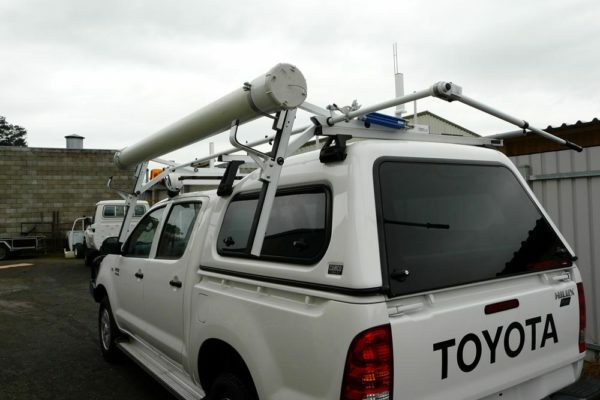 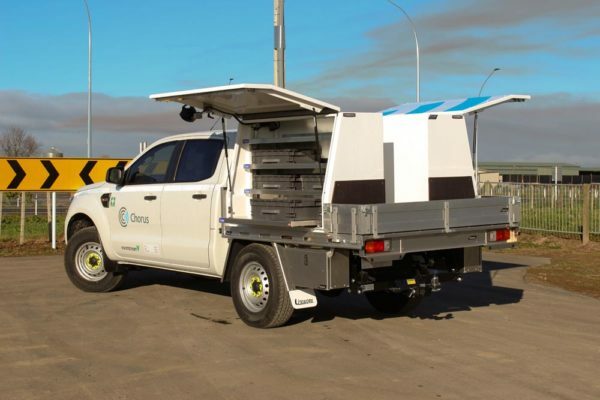 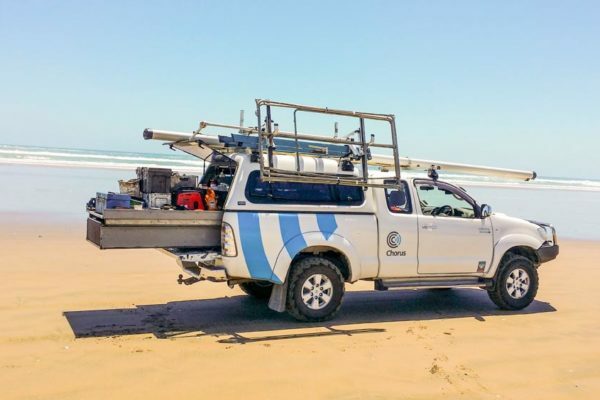 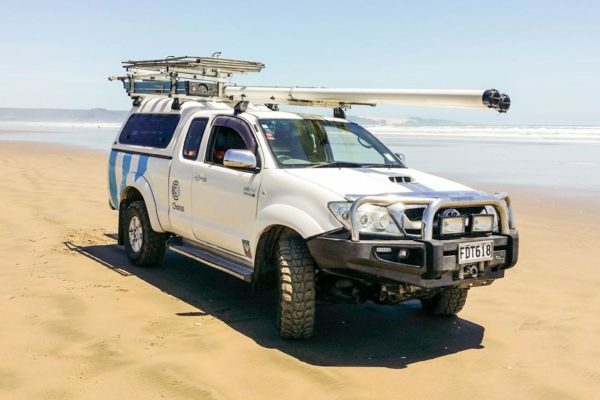 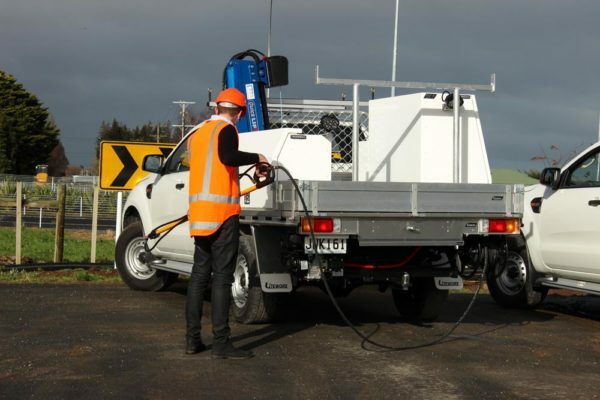 The increasing need for installation and upgrading of telecommunications throughout New Zealand has meant that companies in this sector are continually looking for ways to increase their efficiency and safety. 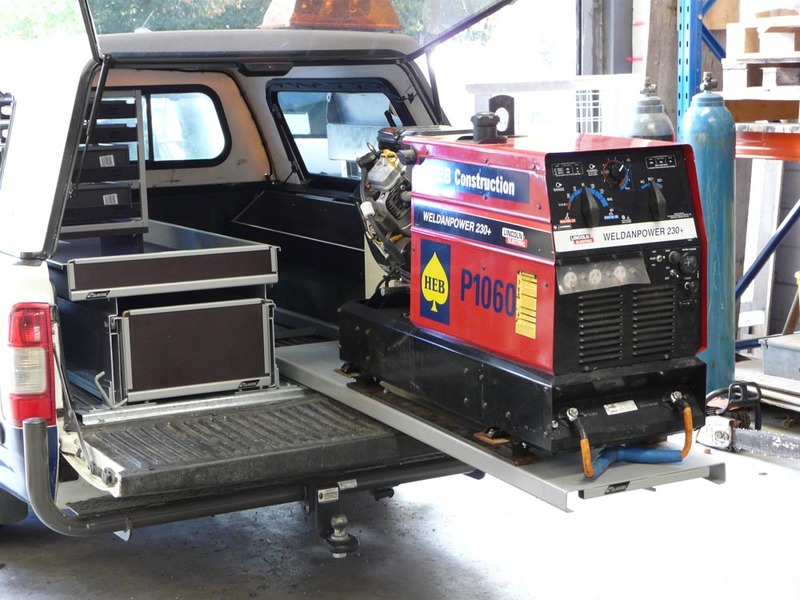 At Camco we have worked with many of these companies to set up their vehicles as efficient mobile workshops, utilising our quality products.